There are only two areas in the world. One is Divine,Satya and the other is Material,Asatya. God and his saints who are beyond Maya alone are 'satya'. 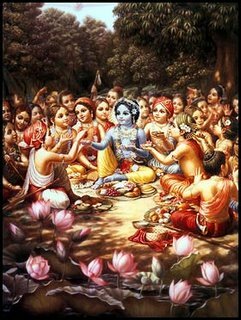 Association with them through the complete involvement of the mind and intellect is referred to as 'satsanga', 'divine association'. 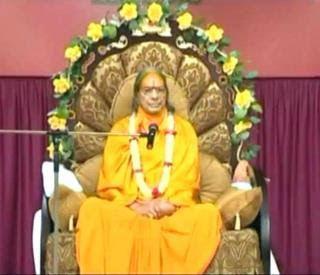 Anything or anyone else apart from this naturally comes under the three modes of Maya-'Tamasa','Rajasa' and 'Sattvik'. 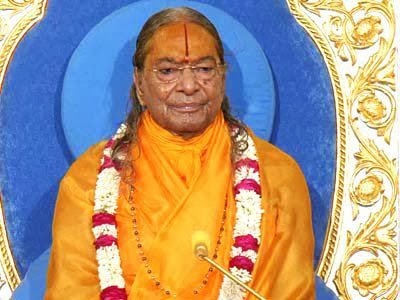 Therefore,association with this area is referred to as 'Kusanga','Material association'.In short,whatever leads to the attachment of the mind and intellect to the divine is "Satsanga",apart from this,everything else is "Kusanga" or 'wrong association'. ki main to uthane ke kabil nahin hun. 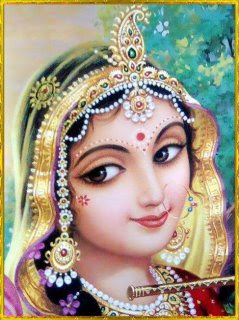 My Lord, You have bestowed so much grace on me, that I am unable to lift this heavy load. I have come to You fully knowing that I am not worthy of coming to You. My strong desire for the world made me forget myself and my lips never uttered Your name. I am an offender and sinner; I am not worthy of showing my face to You. You gave me life, but I did not glorify You in life. I am so indebted to you for Your grace, that I am unable to repay my debt. I know You are the supreme Provider, yet how can I ask You for anything? 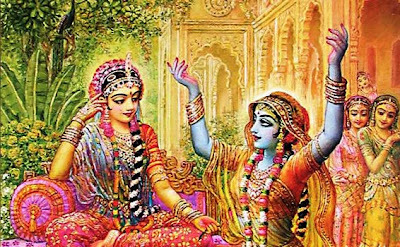 What you have given me already, I am not able to contain. My only desire now is to bow my head and see You in my heart. Oh, my Lord! Except for my heart, I have nothing to offer You. !! कबहूँक करि करुणा नर देही !! Hamari Radhey, deenan ki rakhavar. Deen pukar sunat hi dhavati, tanik na lavati bar. Jogi japi tapi sadhan-bal, khojat nipat gamar. Panch prapanch na chhutat ranchak, bahey siddhi majhadhar. Jehi ras lagi hari har tarsat so, barsat yehi darbar. 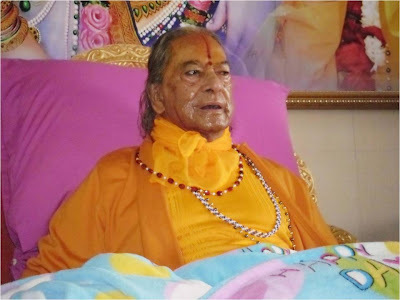 Piyat ‘Kripalu’ soi ras japar, kripa karati sukumar. 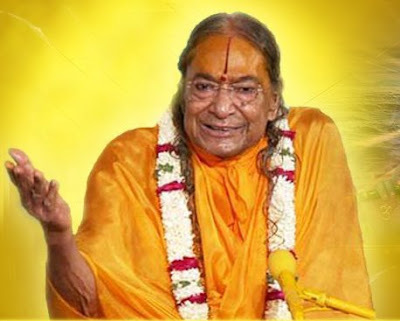 As a soul has had uncountable births and in all those births we have performed every kind of action, then if someone calls us lustful, hot-tempered, greedy, sinful, mean, unprincipled, or wicked, then what is wrong with that? We should happily accept the truth and try to rectify that fault. Nindak niyare rakhiye aangan kuti chhavay. Mo sam kaun kutil khal kami. You have to repeatedly promise yourself that you will not feel bad if someone tells you your faults. Practise will lead to success. Every day before going to sleep at night ask yourself, “How many times did I fail to tolerate someone’s criticism today?” The next day be more careful so you don’t commit the same mistake. With this kind of regular practise, you will stop feeling bad. Yadi dainyam tvatkripaheturna tadasti mamanvapi. Tam kripam kuru radhesh yatatey dainya mapnuyam. 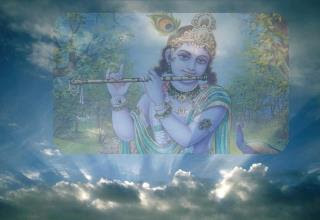 “Oh Shri Krishna! You bestow grace on the base of one’s humility, but I am not humble at all. So first grace me so I may become humble!” While saying this, shed tears. You must definitely do this. The human birth is temporary, so quickly do this. You don’t know when your time will be up. I humbly request this of all of you. Are man ! Char dina ki bat. Nar tanu sharad chandani beetey, puni andhiyari rat. Tu sovat kachu janat nahin, kal lagayo ghat. Tajat na neend yadapi vishayan ke, chhin chhin jutey khat. Avasar chuki phiriya chourasi, kar meenjat pachhitat. Rasikan kahi ‘Kripalu’ manu gahu, yugal charan jaljat.